While enterprising homeowners will no doubt identify many jobs that they can handle for themselves around the house, the fact of the matter is that there are also many jobs that demand the skill and expertise that only trained professionals can offer. Pretty much any electrical problem that you may encounter in your home, for instance, will necessitate that you work with a professional electrician in New Hampshire. What types of problems may lead you to contact a member of our electrical service team? There are quite a few, but perhaps the most obvious sign of problems with an electrical system is an issue with your lights. Lighting problems are fairly common and, in most cases, they are actually quite simple for a professional electrician to resolve—emphasis on the “professional electrician” there. If you notice that anything is off about your lights—like them remaining off when you need them to be on!—then pick up the phone and give us a call. You, like all other homeowners, are quite reliant upon your electrical system. Electricity is used in many different ways throughout most homes, powering our appliances and charging our gadgets. You need to know that your electrical system will work effectively and reliably. Most importantly, though, you must know that you are using electricity safely. This is why you should consider upgrading your old fuse box in Vermont. There are a lot of old homes in this area and, while there is nothing inherently “unsafe” about using an old fuse box, it is often in your best interest to update any such components in an older electrical system. Work with HB Energy Solutions to have your fuse box upgraded by a qualified, professional electrician. If you are unsure of when your electrical panel was last inspected, or if you are buying a home which has an old fuse box installed, then scheduling a fuse box inspection today is a good idea. While an older fuse box may still be completely functional, it also may have been installed at a time when safety regulations were more lax than they are today. Plus, a very old fuse box may well mean that the wiring and other components in the electrical system are equally as old. By having everything checked out by a qualified electrician, you can know that you are using electricity safely in your home. Upgrading your old fuse box to a more modern system, such as a circuit breaker, can help to interrupt overloaded circuits within your electrical system more effectively. Not only that, but it can also help you to reset those circuits more conveniently. We may find during our inspection that your existing fuse box is just not up to current codes and regulations. Whatever the situation may be, our electricians will be able to determine if a fuse box upgrade is indeed in your best interest. Any work done on any electrical system must be completed by an experienced and licensed electrician. Using electricity in our homes makes our lives infinitely more comfortable and convenient than would otherwise be possible. Just remember, though, that electricity can also be dangerous if not used properly. Allow HB Energy Solutions to upgrade your fuse box so that you can use your electrical system with the well-earned confidence that you deserve. The circuit breaker panel has replaced the fuse box as a way to protect homes from the dangers of electrical fires. Whenever a circuit breaker detects an increase in voltage from an overload, the breaker trips and cuts off the circuit’s electrical flow to prevent damage. The homeowner can then easily reset the breaker to re-connect the circuit. Although circuit breakers improve over the performance of fuses, circuit breaker panels will become outdated and require upgrades. If you have encountered recent trouble from frequently tripped breakers, or if you have a panel that is more than a decade old, you should consider scheduling a professional to investigate it and suggest upgrade options. For Southern Vermont electrical services to help you with your circuit breaker panel, contact a trusted name: HB Energy Solutions. We have served Vermont and Southern New Hampshire with superb electrical work for twenty-one years. To better handle modern electrical needs: The amount of energy the appliances in modern homes need to operate is far greater than it was even ten years ago. A circuit breaker panel older than this will not have the appropriate capacity to handle the amount of amperage that advanced devices in your home require to run, and this will lead to frequently tripped breakers. Upgrades or even a full replacement of the panel will elevate its capacity to fit your home. Increase fire safety: The main reason for circuit breakers in the first place is to prevent electrical fires due to short circuits and sparking. An aging panel that no longer fits with the outlets and the energy demands of a home can begin to turn dangerous. Convenience: Do you want to get up every other day, fumble with the circuit breaker panel, find the tripped switch, and reset it just because you turned on the TV and opened the refrigerator at the same time? Or worse, do you want to stumble in the dark looking for the panel because tripped breakers have shut off the lights during the night? Of course you don’t, and if you start experiencing this you have no excuse to keep going through these motions: just call a skilled electrician to upgrade your circuit breaker. And, if you still have a fuse box instead of a circuit breaker panel, you should have already replaced it. Fuse boxes are rarely up to the challenge of modern electrical systems, and enlarging the fuses to handle more power is a serious fire hazard. HB Energy Solutions has the skill in Southern Vermont for electrical upgrades and repairs of all types. We will examine your circuit breaker panel and find the best way to improve it and improve your life. Power surges are both inconvenient and potentially damaging to your house and possessions. They can cause a loss of power in your home, and will inflict injury on appliances—particularly complex devices like computers and home entertainment systems. You want to do as much as you can to protect your home and possession from surges along the power lines. It’s a popular misconception that power surges are only catastrophic events that occur because of storms and downed power lines. These will indeed cause surges—but there are other, more common causes. And power surges don’t have to be major events; they can occur numerous times during a day without you noticing them. To help guard against these surges, contact our technicians in all things electrical in Southern Vermont at HB Energy Solutions. Catastrophic events: We’ll start with the most obvious ones. Lightning storms can cause massive overloads when a bolt strikes near a power line. A lightning bolt can boost electrical pressure by millions of volts, and that’s enough to overpower almost any system—as well as local plug-in surge protectors. Electrical demand from high-powered appliances: Lightning is one of the less common causes of power surges. The most common is from sudden demands on your power from a large system like an air conditioner or a refrigerator. When one of these appliances makes a large power demand, it upsets the steady voltage flow of the system. You may barely notice this (a slight dimming of lights), but it will cause cumulative damage to other appliances throughout your home. Faulty wiring: When you experience a more severe power surge (one not due to a storm) leading to an outage, the cause could be trouble with the wiring somewhere in your home. This is a serious problem because of the potential for fire damage, so contact an electrician to see where the faults are and have the necessary re-wiring done. You should definitely have power strips for your important devices, such as your computer. However, you need to have extra protection from surges, and only whole-house surge protectors in your breaker boxes and circuit panels can do the full job. You will need electricians to install this for you. For electrical services in Southern Vermont, trust to the over two decades of experience at HB Energy Solutions. The electrical system is a staple of the home, providing light, heat and power for modern appliances. When trouble arises, it disrupts the flow of your life, and can prove costly as well as inconvenient. Residents of Southern Vermont pride themselves on their self-sufficiency, but troubles with your electrical system usually necessitate a service call from an expert. Here are some signs that indicate potential trouble with your electricity. Tripped breakers. Tripper circuit breakers are usually the most obvious sign of faulty electrical wiring. They trip in the event of an overload, cutting power to that circuit and preventing further damage in the process. If the breaker keeps tripping, it suggests a significant problem. Flickering lights. 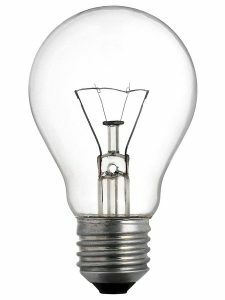 If your lights flicker or dim, it may just be a problem with the light bulb. It could also be a loose connection with the wiring or problems with the fixture. Try replacing the bulb with a fresh one. If it doesn’t solve the issue, you should consult an electrician. Warm fixtures. If you’re using a bulb with too much wattage or your fixture lack proper insulation, they could feel warm to the touch. That’s a problem because it means the fixture could overheat, creating a fire hazard. Burning smell. Similarly, if you detect a burning smell whenever you turn on a light, it suggests an overload issue or a problem with faulty wiring. Turn off power to the light panel at the circuit panel and contact an electrician immediately. For over 20 years, HB Energy Solutions has Offered electrical services to Southern Vermont. We offer 24-hour emergency service and off a 100% satisfaction guarantee on all our work. If your electrical system is experiencing troubles, call us today to set up an appointment. Every modern home has an electrical system, designed to run our lights, appliances and other devices that make modern living possible. In Southern Vermont, electrical problems can be more than an inconvenience, with cold temperatures and inclement weather outside creating all manner of problems. It helps to understand the basic components of your electrical system, so that you know what happens when there are problems and can give a service professional some basic idea of where to look. Electricity in your home starts with the circuit breaker panel, which is connected to the main power supplied by your city or municipality. 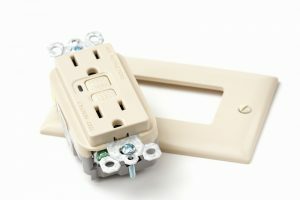 The breaker panel usually contains the main breaker, which covers the whole house, as well as individual breakers that run power to different specific outlets inside the house. Electrical wiring goes out from the breaker box to each of the individual outlets in your home. The wires have to meet certain codes, both federal and local, in order to be rated safely. Most circuits in the modern home have two conductors: one “hot” and one “neutral.” A third conductor, which grounds the electricity and channels it directly into the ground in the event of any emergency, is connected to every outlet in the home. Older wiring, such as “knob and tube” wiring used in the early decades of the 20th century, is no longer considered safe. 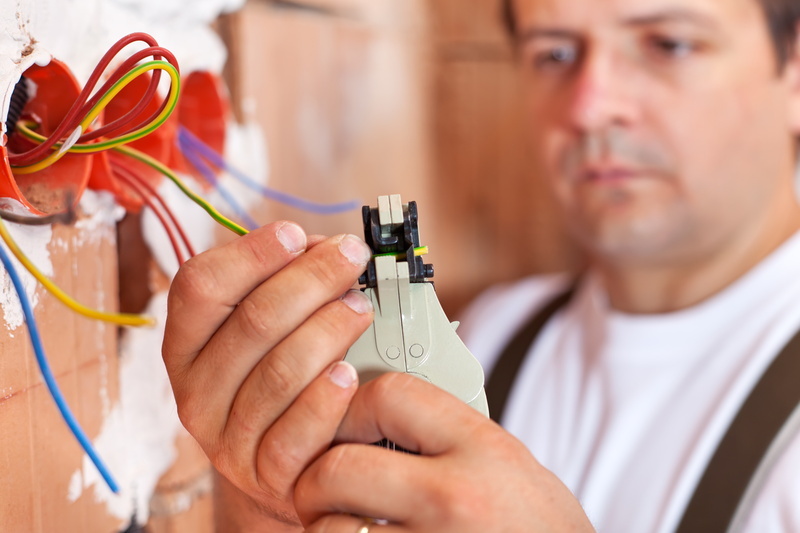 If you live in an older home, check with a professional to see if your wiring is still up to code. The wiring connects to the outlets in your wall, which let you access the electricity and power the lights and appliances in your home. Some outlets contain “mini-breakers” that shut off the power when an appliance overload them. When your electrical system experiences problems, you should contact a trained service professional immediately. HB Energy employs trained professionals who can safely handle all kinds of electrical issues, and we serve most communities in Southern Vermont. Call us for an appointment today; we’re dedicated to your satisfaction and will work hard to correct your problem the first time, every time.